Seattle to Victoria downtown is a possible day trip or a perfect weekend getaway. Vancouver Island - Victoria is known as Canada’s Garden City. 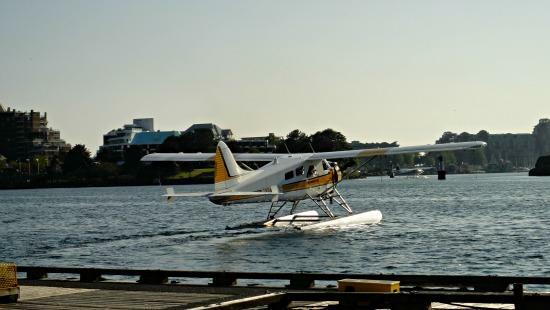 You get to take this exiting flight seeing tour to Victoria BC by low flying Kenmore air float plane. Kenmore air is the quickest connection from Seattle to Downtown Victoria BC. Take off from Seattle Lake union terminal or Lake Washington terminal. Fly an exciting flight seeing tour by seaplane. In 45 minutes or a little over an hour later you are splashing water to land in the downtown Victoria Inner Harbour. Note: If you are flying in or out of the Lake Washington terminal instead of Lake union terminal add an extra 30 minutes to your flying time. Starting July 2012 Kenmore Air arrives at Victoria Inner Harbor’s new shared terminal with Harbour Air (see July 2012 update below). You see, Downtown Inner Harbour is full of activities. Victoria is a vibrant colorful city in summer with bustling community. There are so many activities for the entire family. We find close proximity to many activities and events make Victoria a very special place. The downtown core is connected to excellent public transportation. You can also easily walk to many places in the Downtown. Whale watching, Victoria Museum, IMAX, Top class restaurants are all within walking distance. Kenmore Air flies from Seattle to Victoria in 45 minutes. Some people make this Victoria Vacation even exiting sky and sea adventure by purchasing a fly and sail either way package. 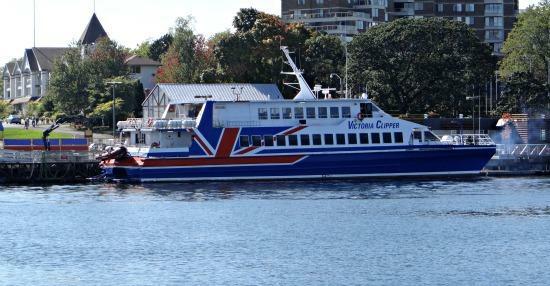 You can combine Kenmore Air ticket with Victoria clipper that sail between Seattle and Victoria. 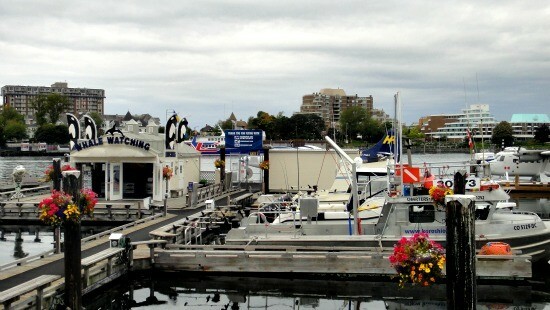 Both Kenmore Air and Victoria clipper terminals are in Inner Harbour Victoria. Inner Harbour is a super convenient and a beautiful place that we can recommend to all Visitors to land in or take off from Victoria. Kenmore Air and Harbour Air used to be two terminals. 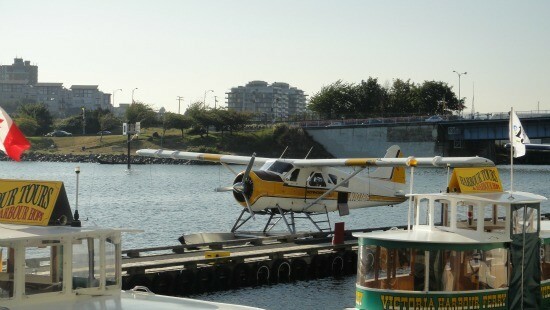 Since July 2012 Harbour Air and Kenmore Air started sharing the Downtown Victoria terminal. 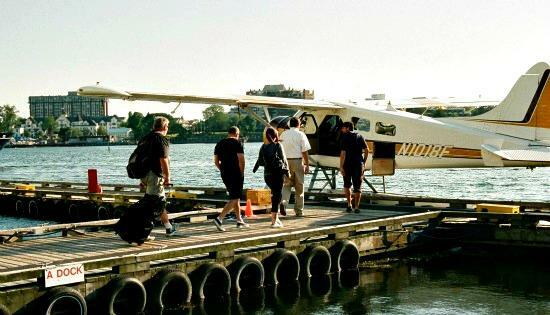 This shared Kenmore Air and Harbour Air partnership opened up an easy connection to Vancouver downtown from Seattle as well as a scenic Seattle to Whistler tour during Summer months. We find new shared terminal has made Seattle to Vancouver downtown traveling so convenient. Seattle to Victoria travel time is 45 minutes by a Seaplane. Then Victoria downtown to Vancouver downtown is only 20minutes of flying time. This connection is a new faster route from Seattle to Vancouver Downtown. 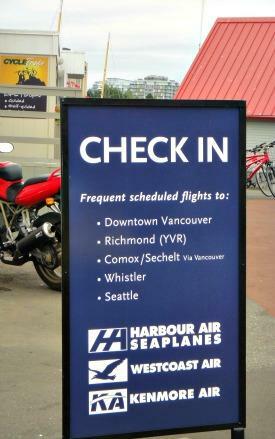 You are avoiding long lineups and security lines at the US/Canadian border when you travel Kenmore Air/ Harbour Air from Seattle to to Downtown Vancouver. 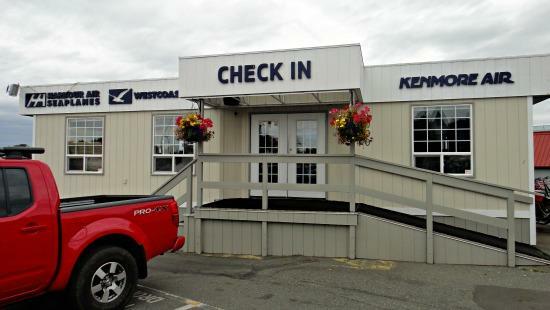 The new terminal has ample amenities which include complimentary shuttle service to Downtown hotels, free internet, coffee... We have made use of 20% off deal for Kenmore Air customers at the Flying Otter Grill restaurant next to the terminal ... Super convenient and good food for passengers. Rent a car facility is available at the terminal and you can arrange your rental car delivered to the seaplane terminal. If you are not planning to spend the night you can still fly here enjoy one full day of activities and head back to Seattle in the evening. Whistler is Canada’s beautiful resort town. You can arrange an easy Kenmore Air/ Harbour Air flight from Seattle to Whistler BC via Victoria. You can also customize the trip taking train one way and flying Seattle - Whistler via Victoria BC the other way. Baggage allowance on float plane could be different from other airlines. The last time when we were flying it was 25lb per person. I also avoid the last flight of the day - Its Common sense, you don't want to get stuck a whole day if the flight gets canceled.